Small Capstan Brass Clock with screw bezel. The screw bezel permits easy access to quartz instrument mechanism for adjustments and battery renewal. Top quality, heavy, solid cast brass case which is lacquered and varnished to give a highly polished finish. Features bevelled glass. This small Capstan brass Clock is a classic design and looks stunning on board particularly with matching barometer but looks equally elegant in a home study or conservatory. 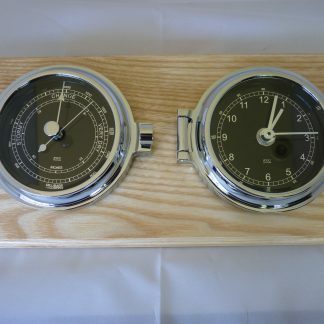 Perfect nautical gift! 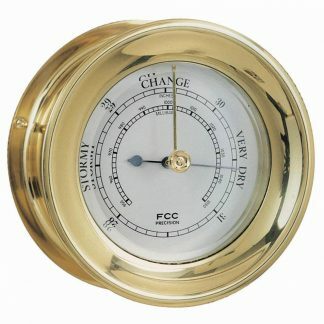 Small Capstan Brass Clock with screw bezel. The screw bezel permits easy access to quartz instrument mechanism for adjustments and battery renewal. 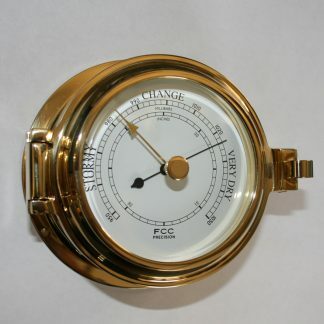 Top quality, heavy, solid cast brass case which is lacquered and varnished to give a highly polished finish. Features bevelled glass. The Capstan is a classic design and looks stunning on board particularly with matching barometer but looks equally elegant in a home study or conservatory. 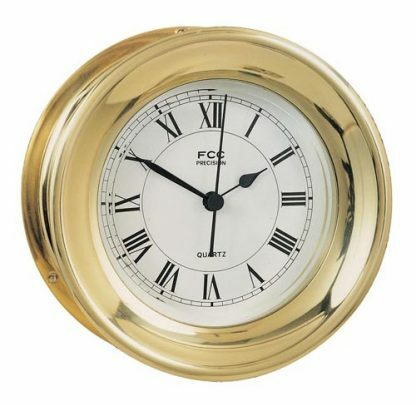 This small Capstan brass clock is a classic design and looks stunning on board but looks equally elegant at home. 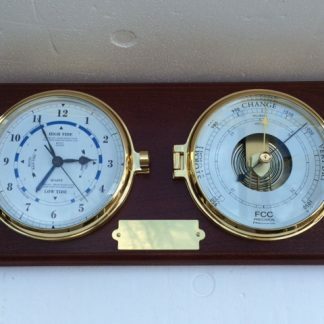 Made in Cornwall for the last 35 years in the heart of the boating and sailing community. 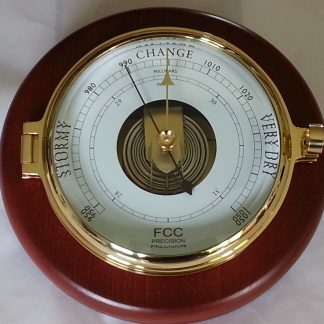 FCC Precision is widely recognised as one of the leading specialist suppliers of barometers and clocks in the United Kingdom. Our mechanisms are guaranteed for two years and our marine range of bodies will last a lifetime!